The big story of last month was Birmingham Airport unveiling a £500 million, 15-year vision which it hopes will add five million passengers annually by 2033. 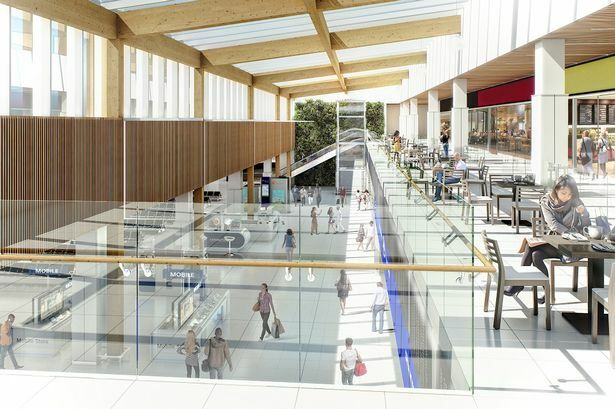 The centrepieces of its plans are an enlarged departure lounge with new shops and bars and a revamped check-in area with more self-service kiosks. The announcement did however dispel any lingering hopes of a second runway as airport chiefs said they were confident they could achieve their growth ambitions via a single runway. It will make for a busy in-tray for its incoming chief executive Nick Barton who is due to start in the top job on January 7 - 18 months after the departure of previous CEO Paul Kehoe. The airport&apos;s neighbour the NEC Group chose the same week in November to announce its own masterplan for its Solihull campus. It boldly claimed up to 10,000 jobs could be created as part of a major regeneration at the site. NEC Group is working with landowner Birmingham City Council on the plans which will see around 185 acres redeveloped to contain 2,500 new homes and 3.4 million sq ft of new floorspace. City council leader Ian Ward called it a "radical vision" for the transformation of the NEC&apos;s campus which would see see the Midlands&apos; international appeal and global position strengthened as well as bringing benefits to local communities. The historic hall built in Birmingham for Joseph Chamberlain in the 1870s was added to a list of at-risk buildings. The grade II*-listed Highbury Hall was developed for Mr Chamberlain after he came to the city in 1854 to join his father&apos;s screw-making business. The hall, near Moseley, was one of 31 sites in the West Midlands added to the Heritage at Risk Register which is published annually by government body Historic England. The book, which is celebrating its 20th anniversary this year, details buildings and sites of significant historical interest which are considered under threat if restoration work is not carried out or new purposes found. Full details behind the city council&apos;s proposed £18 million worth of cuts were published in November, revealing major implications for popular services and plans for new charges. The authority said it intended to increase council tax by the maximum 4.99 per cent in 2019/20, meaning an extra £65 on the bill for residents in a band D property. The council needs to make £50 million worth of cuts next year, of which £18 million are new. Among the proposals, set to be approved in February, are dimming street lights at certain times of night, not funding school crossing patrols and slashing the enforcement budget for fly tipping. One of Birmingham&apos;s most famous stores could be transformed into a major mixed-use scheme, under plans announced this month. Legal & General, owner of the House of Fraser building in Corporation Street, said it was in discussions with the city council about transforming it into a hotel, offices, bars, restaurants, cafés and retail units. There would also be room for a communal space, a large atrium and external terraces with some parking. The news has cast a massive shadow over the future of House of Fraser in the city after it was one of several stores saved by Mike Ashley when his Sports Direct bought out the beleaguered department store chain last summer. And just a little further along Corporation Street, heritage campaigners were left disappointed after the Government decided to grant a Certificate of Immunity from Listing to 1960s shopping precinct The Square. The site has been earmarked for regeneration for years but owner Hammerson has been sluggish in bringing forward concrete plans for its future. The certificate will last five years, meaning the property group, which co-owns Bullring and Grand Central, can take more time to draw up its plans which could include knocking The Square down completely. Hammerson&apos;s project, called &apos;Martineau Galleries&apos;, is expected to see the wholesale regeneration of not only The Square but a series of neighbouring buildings including the unit occupied by Ikea until it closed down in August. Rail commuters look set to be breathing some fresher air after Network Rail revealed it would spend £1 million tackling toxic fumes at New Street station. The capital will be used to install 97 sensors to detect harmful toxins and it is hoped the project will be completed by April. The authority has also introduced platform supervisors to have "polite conversations" with train drivers if they see engines have been left on too long - said to be a major factor causing spikes in harmful gases. A study by the University of Birmingham published earlier this year found that nitrogen oxides exceeded the recommended 15-minute exposure limit on 26 out of 68 days. Birmingham City Council sent a desperate plea to the Government earlier this month not to take any more cash from it next year. The authority has told the Government that, if it loses any more money, there could be a "catastrophic collapse" of services. It was one of 80 councils which sent an SOS to Whitehall begging not to lose any more money from budgets and demanding a forthcoming cut in funding of £1.3 billion be cancelled. Birmingham&apos;s cash crisis is so bad it has had to dip into its reserves to the tune of £117 million over the last two years to prop up its finances.